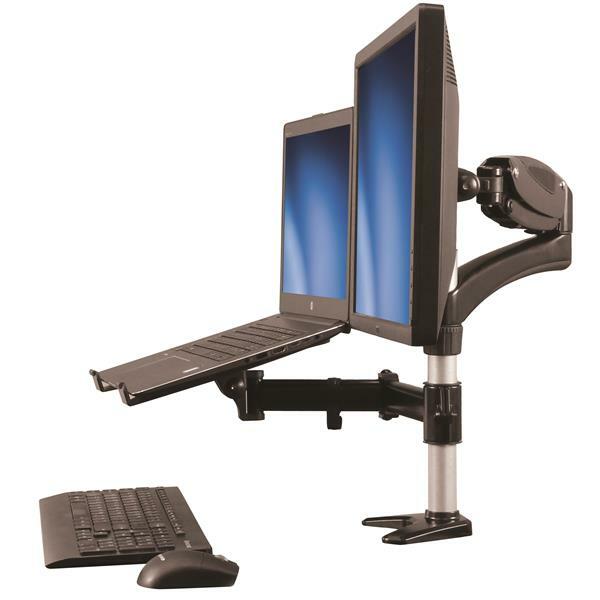 Also, by combining the arm with a monitor, laptop, docking station, keyboard and mouse, you can comfortably set yourself up at a hot desk in the office, and easily recreate the same setup at home. It’s perfect for business travelers and users who are constantly on the go. 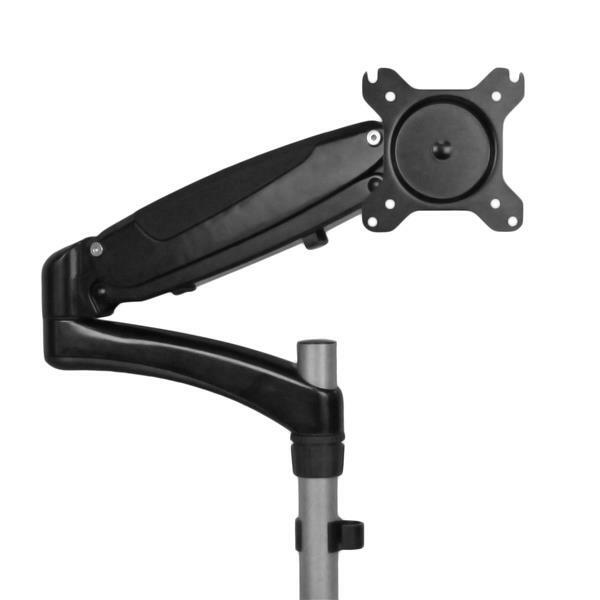 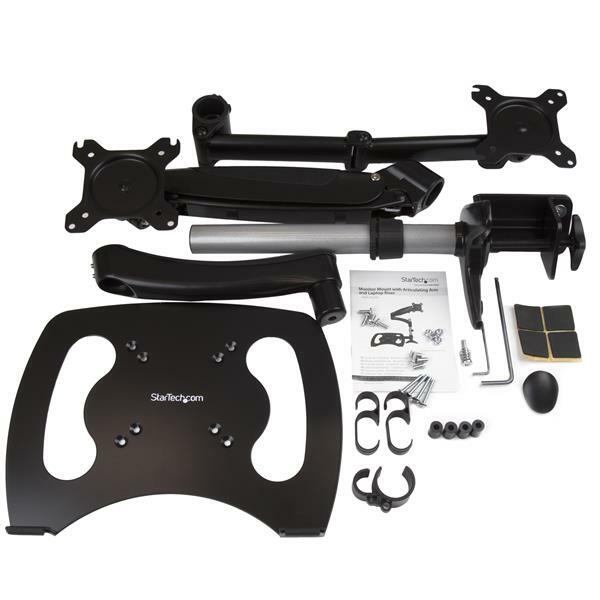 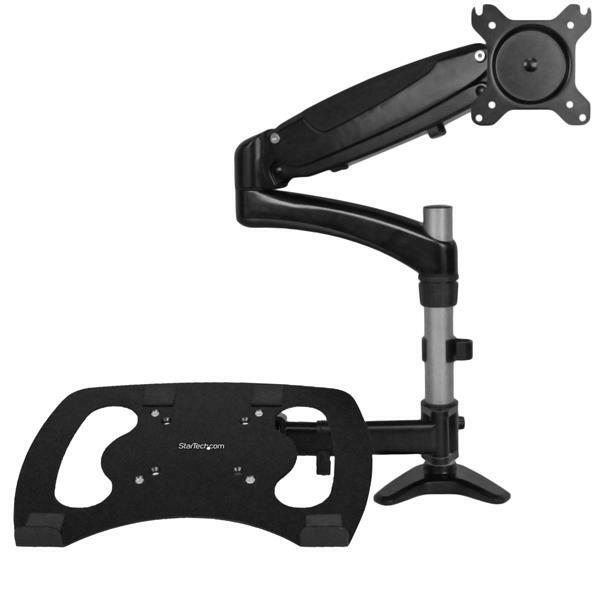 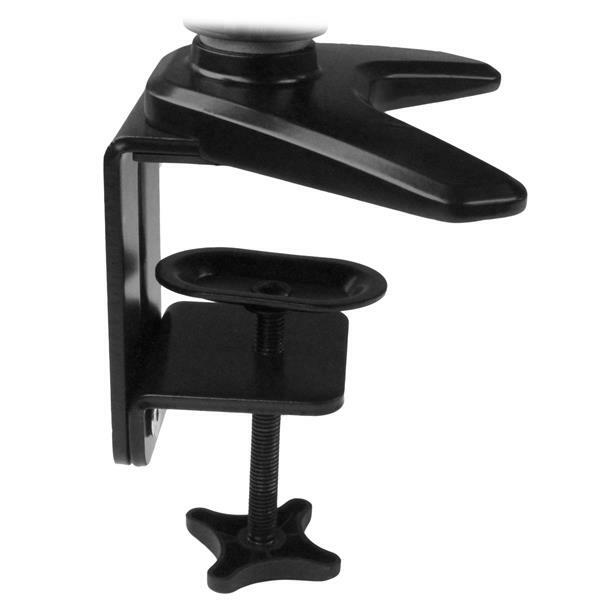 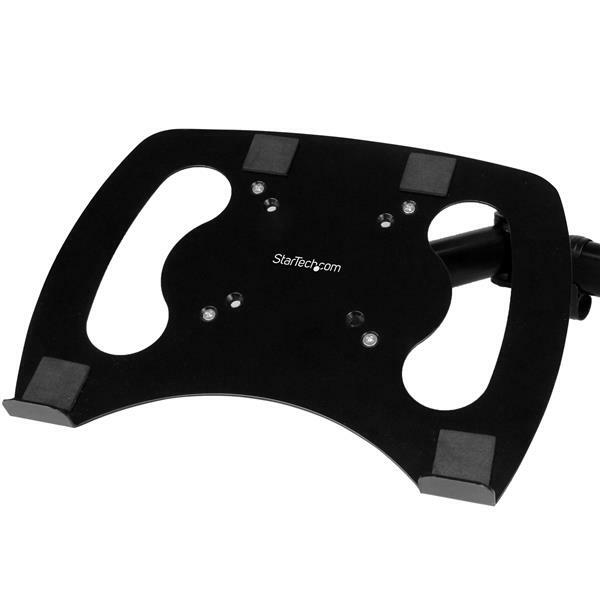 The StarTech.com ARMUNONB monitor arm is backed by a StarTech.com 2-year warranty and free, lifetime technical support. 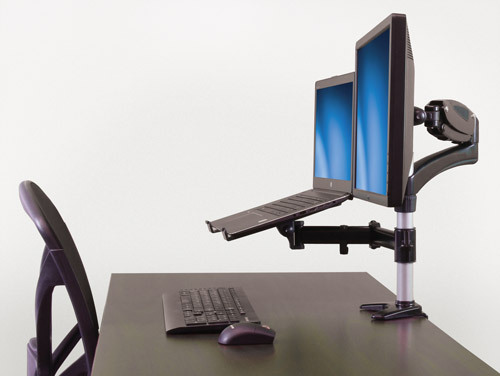 Note The maximum extension of the laptop tray arm is measured from the pole to the center of the tray.